Barrow County has 33,841 registered active voters as of November 2014. Barrow County has 437 full-time and 73 part-time employees for FY 2015. Barrow County has an annual all-fund budget of $66.5M for FY 2015. Barrow County has a tax rate of 12.75 mills for 2014. Barrow County's debt per capita is $1,890. Barrow County's Standard & Poor's bond rating is AA- as of April 2014. Barrow County has a total of 467 miles of public roads of which 36 miles are dirt roads, 95 miles of storm drain pipe, 25 bridge structures, 50 bridge culverts, 45 miles of concrete sidewalks, and 300 miles of concrete curb and gutter. Barrow County has six incorporated cities - Auburn (partially in Barrow County), Bethlehem, Braselton (partially in Barrow County), Carl, Statham, and Winder (county seat). Barrow County has a land area of 162 square miles. Barrow County's Economic & Community Development Department issued 330 single family home building permits, 15 mobile home permits, 53 commercial permits, and had 28 rezonings during 2014. Barrow County is in the 114th, 116th and 117th State House Districts, 47th State Senate District, and in the 10th U.S. Congressional District. The county's legal organ is the Barrow County News until Dec. 31, 2015. Barrow County has 16 sites on the National Register of Historic Places. Barrow County is a Storm Ready community and a Camera Ready community. Richard B. Russell, Jr., a well-known Democratic political figure, was from Barrow County. 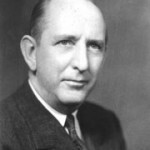 Born in Winder on Nov. 2, 1897, he was in public office for 50 years as a member of the Georgia House of Representatives (1920-1931), Georgia governor (1931-1933), and U.S. Senator (1933-1971). His legacy includes having served on the Warren Commission that investigated the assassination of President Kennedy, having many things named after him including a U.S. Senate office building, a nuclear submarine, a federal courthouse in Atlanta, several highways, schools, and a Georgia state park. Mr. Russell was also featured on a postage stamp in 1981. He died on Jan. 21, 1971 in Washington, D.C. and is buried in Winder in the family cemetery behind the Russell home which was designated as the Russell Homeplace Historic District by the National Register of Historic Places in 1984.